“Through this process, each second of time preparing has shown me what that truly means,” Blaylock said. On April 2, Blaylock was named Webster County’s DYW 2017, and she will compete for the state title July 14-17 at the Temple Theatre in Meridian. She is the daughter of Stan and Lyn Blaylock of Eupora. “I think Greer will be a wonderful representative for Webster County,” said Sally Johnson, the At-Large contestant coordinator for the Distinguished Young Woman Program of Mississippi. 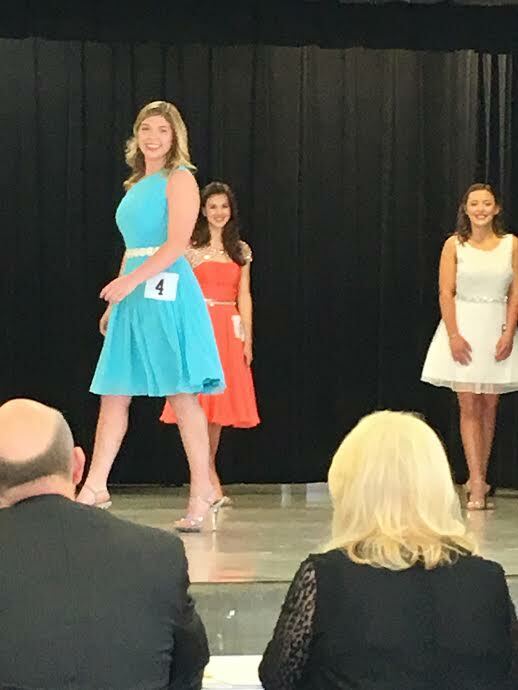 Because Webster County does not have an official DYW program, Blaylock competed as part of the “At-Large” program. There are five counties represented in the State Program from the At-Large DYW program, including: Webster, Lincoln, Hinds, Smith and Lowndes. DYW is open to all high school junior girls. Contestants are judged in five categories: interview, scholastics, self-expression, talent and fitness. For more information about the DYW At-Large Program, go to the website at www.distinguishedyw.org. See this story in the May 4, 2016 edition of The Webster Progress Times at http://websterprogresstimes.com/2016/05/04/blaylock-named-webster-countys-dyw/.